Members can collect a payout of $500 or more and receive a free Meal Voucher. 5 lucky winners will have the chance to match three cards on the Chequered Flag Champ board and win up to $1,000 cash every Tuesday and the chance to win our $250 bonus prize! 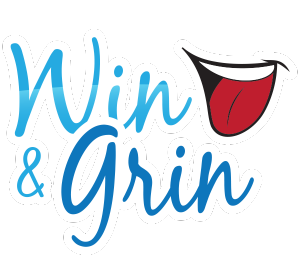 Draws at 7:15pm, 8pm, 8:45pm, 9:15pm & 9:45pm plus a wildcard entrant drawn at 9:55pm and the $250 bonus draw at 10pm. Use your membership card in the gaming machines from 7pm to earn entries. Great cash prizes including a $1,000 cash jackpot! Club opens 9am, eyes down 9:40am. Concludes approximately 11:30am. Members purchase a $5 ticket in our charity raffle to receive their FREE 15-game bingo book. 6 lucky winners will have the chance to win up to $1,000 cash from 12pm – 2:30pm! Use your membership card in the gaming machines from 11:30am to earn entries. $1,000 worth of groceries each week to be won! Earn Cowboys Cash between 1pm and 2pm every Thursday and visit our supermarket shop between 2pm and 3pm. PLUS 5 x $50 cash prizes must be won from 1:45pm – 3:45pm! Simply use your membership card in the gaming machines from 12:30pm to earn entries. $1450 cash must be won plus 4 HUGE cash jackpots are up for grabs every Thursday night in the gaming lounge! Simply play the gaming machines from 7pm to gain entries and be present from 7:15pm – 9:45pm for your chance to win – choose the right Cowboys player from the Crazy Cowboys Jackpots gameboard and you score the jackpot or a cash prize from $100 – $250! Don’t miss your chance to spin the Roulette Riches wheel and win cash prizes or the $500 major prize every Friday! 5 lucky winners will have the chance to spin the cash wheel from 12:30pm – 2pm! Each winner will get to add another $500 wedge to the wheel to increase their chance at winning the $500 major prize! Simply use your membership card in the gaming lounge from 11:30pm – 2pm to earn entries. Swipe your members card at the foyer terminal between 4pm and 8pm on Fridays to gain entry. 5 x $100 cash and 1 x $500 cash prizes drawn between 7pm – 9:30pm! Play the gaming machines from 7pm on Fridays to gain entries. 5 x $100 cash and 1 x $500 cash prizes drawn between 7:45pm – 10:15pm! * Must be present for the chance to win. $2,500 cash must be won on the last Friday of every month! Earn entries by playing the gaming machines between 9pm & close every day. $250 cash drawn at 9pm & 9:30pm | $500 cash drawn at 10pm & 10:30pm^ | $1,000 cash drawn at 11pm. Be present at the draw on the last Friday of the month for your chance to win! ^ 10:30pm draw will be drawn from mailed entries only. Mailed entry issued to all members who have accrued a Late Night Loot entry at least 7 days prior to the draw day of that month. 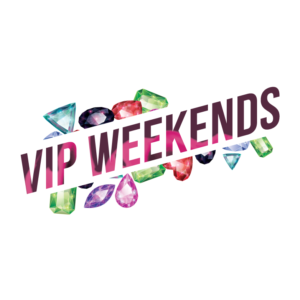 Diamond & Platinum members can swipe their card every Saturday to receive FREE Bonus Points! Diamond members – swipe your card to receive 750 Bonus Points. Platinum members – swipe your card to receive 1000 Bonus Points. Ruby & Emerald members can swipe their card every Sunday to receive FREE Bonus Points! Ruby members – swipe your card to receive 250 Bonus Points. Emerald members – swipe your card to receive 500 Bonus Points.